Wes Seigler, owner of Truth Reels, first made his name racing bicycles and later became known for designing them. Despite all the time spent in the bicycle industry, Wes never lost his love for saltwater fishing. His passion for fishing eventually won out and Wes created Release Reels (now Truth Reels). Release reels became Truth reels which was a better fitting name for a made in the U.S.A product with a lifetime warranty. Most anglers that spend any time on social media have seen these reels. Wes does excellent work promoting his fishing line. Come with me for a closer look at the Truth SG baitcaster. Product: Truth SG (Small Game) Saltwater Baitcasting Reel. Overall Rank: 88 out of 100. I remember the Release reels from seeing them used on offshore trips. To be honest, I never did have an opportunity to try one. Nor have I had access to the newer Truth reels. I’ll be writing this review based on all the online information available and I’ll also be adding some feedback from at least one personal owner of three different Truth reels. I usually like to talk specifics about the material that makes up the frame and spool of a fishing reel. I know that the Truth SG employs stainless steel bearings and gears, but I can’t name the exact aluminum used in machining the frame and spool. One thing for certain, Truth makes extremely light reels. The SG weighs a mere 13.2 ounces and still handles a whole lotta fish. 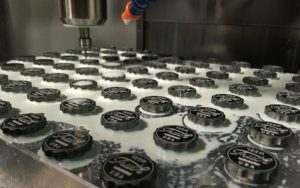 Truth designs and manufactures one line of reels. The SG baitcaster represents one of the reels in their line, though it does come with smoke blue, silver, or red coloring. 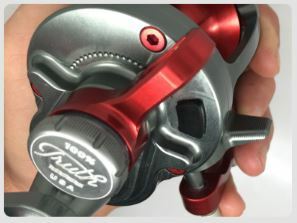 Other reels in the Truth line include two star drag models and larger lever designs as well. I mentioned that Truth SG reels were light (13.2 oz). They’re also extremely tough and durable. Small in stature perhaps, but able to hold onto an incredible amount of force with its carbon fiber drag system. The strike drag setting applies an impressive 18 pounds and full drag goes up to 25 pounds max. 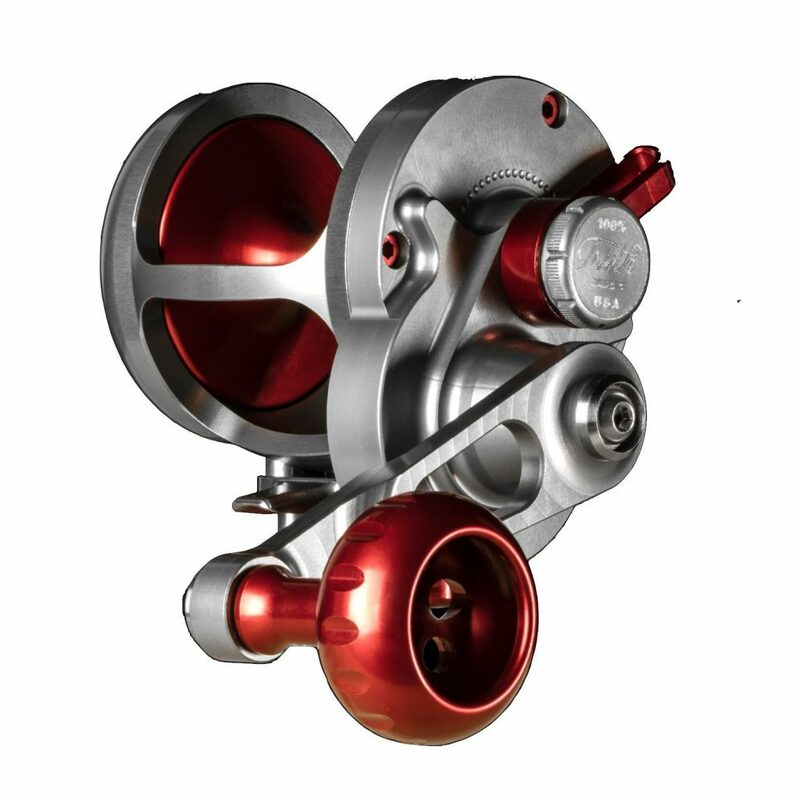 Truth reels put speed into the SG which owns a gear ratio of 6:1 and 38″ of line per crank. Expect to use 275 yards of your favorite monofilament line or 500 yards of 50 pound braid to fill up the spool. The SG claims ceramic spool bearings though I couldn’t see them on Alantani.com. 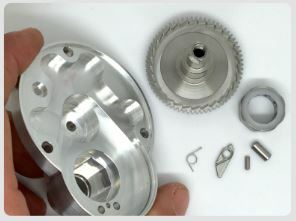 He has a great tutorial that shows break down, maintenance, and reassembly of the reel. Simple and practical with perfect implementation of a few important features describes the SG reel. Let’s go over these design extras here. Offshore anglers love a reel with a powerful handle. During those times when the fight gets nasty, fishermen need to get down and apply a lot of force on a reel. The crank style arm design allows fishermen a strong handle when the time comes to put the wood to angry sportfish. The crank arm stays close to the frame giving much better leverage. 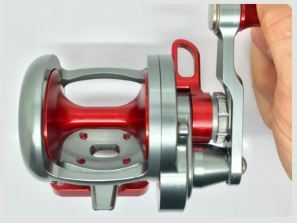 Truth reels put a little more strength into the dog gear and stopper bearing when they designed the SG. Cheaper systems can break down over time and when they do the reel will slip or spin. An anti reverse system also needs to hold strong on a hot drag fish. Don’t worry about having to flip a switch or turn the handle to engage the bail. The well situated Strike Button puts the reel into immediate gear when you’re ready to set the hook. This term applies to the strike position on the lever drag. It arrests the lever at the strike position and anglers can feel it secure when it gets there. The detent lever system makes it easy to find the strike setting and holds it in place once there. Anglers enjoy the SG Baitcaster mainly because of its small size and light weight. After holding a rod and reel for 10-12 hours straight, a lighter reel looks very attractive. For such a small reel the Truth SG baitcaster doesn’t let up under stress. They land the kind of fish you wouldn’t expect to see caught by a reel their size. Nowhere on the Truth website did I read anything about anti corrosive coatings, systems, or properties. Saltwater reels all have them which tells me they exist, but Truth Reels makes no mention. The website fails to be very descriptive about the reels in general. I did read a desire to see a bearing placed into the knob handle. Users have reported that it sticks after a while and removal for cleaning proves difficult. Who Is Best Suited To The Truth Reels SG Baitcaster? The SG reel best suits anglers looking inshore for small shark or larger halibut. It makes an effective weapon offshore against strong Yellowtail, Amberjack, or larger rockfish species. Support at Truth Reels comes second to none. A big reason I say this has to do with their Lifetime Warranty. Any trouble with any Truth Reel products can be sent in for repair or replacement for a small processing fee. Interested parties can also download the owner’s manual from TruthReels.com. The manual comes with helpful information like how to set your lever drag, how to clean your reel, spooling tips, and oh yea, how to register your reel. Registration allows anglers to take advantage of the lifetime warranty but can be done quickly on their website. For a reel so simple in features I’d have like to have seen a better asking price which normally would drive my ranking down. 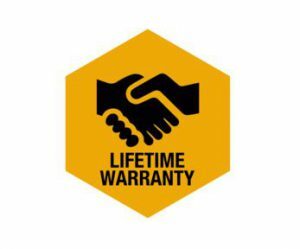 I gave the Truth SG baitcaster bonus points for their lifetime warranty which I haven’t seen offered by another company. I do feel confident in the performance of Truth Reels and I’ve seen many a catch featured on social media. Wes Seigler tests the reels in some pretty awesome locations (not that I’m jealous) and they go back to the drawing board when he doesn’t like them. It’ll be interesting to watch how Truth Reels moves into the next generation of saltwater reels. Hi Geoff. I own 3 Release/Truth reels and love 2 of them. The SG that I have is a 4yr old Release. It is an awesome reel to say the least in many respects. It’s tough enough to whip a 72lb AJ. Nuff said about that. The SG from Release makes over 30# of drag at full but you will get some side load. It comes with a clicker which is so quiet that it could never be heard unless it was real quiet and never heard over boat engines. Therefore to me it is by in large useless but not a deal killer since I don’t troll with it. As far as their claim that it holds 500 yds of 50#braid I believe that to be false. Mine barely held 300yds of 65# braid. I know there is a dia difference but not 200yds worth but once again not a deal killer. Ok. Here’s my gripe. The reel feet are enormous. So big that I have found a number of rods that won’t even accept the reel. I’m not sure what the Fuji style of grip is called but it’s the same style on the Shamono Trevala jigging rods. Those types of reel seats simply will not accept the Truth reels at all which really bothers me. Most jigging rods have these exact same reel seats. I live 200miles from the salt so all three of my Release/Truth reels were bought sight unseen which means the rods they’re riding on was bought the same way. I do my research so I know what I want but when my new reel will not fit on my new rod I find that very upsetting. Another area that I feel needs some attention is the rod clamp and the screws that hold it on. The clamp seems flimsy and should be more substantial. The screws that hold the clamp could be at least 1/8″ longer. Now having said all that. It’s a good reel if you can find a rod to fit it. The drag is the smoothest I’ve ever seen (glass). It’s an incredibly strong reel that can put the brakes on some hefty fish. It will amaze you for sure. Hello again Charles. I wanna start by thanking you for following through and providing that personal insight. I’m sure readers will find your experience with the Truth SG invaluable. Hopefully some other owners will come forward and add their experience as well. It would be interesting to know if other users found the same thing. As to having rod clamps too large to fit on the rods you bought, that’s crazy. Definitely some good information to be aware of. I’m going to send support over at Truth Reels an email letting them know about this review and the feedback you’ve provided. I’d like to hear if they’re aware of these issues and have any plans of correcting them. Thanks again Charles for relating your experience. Geoff. For the record, Wes has taken note of the oversized reel footing issue, and corrected it on smaller SGN (narrow SG) and SS versions. Not sure if there’s an aftermarket footing for the SG. The handle/knob binding issue is a pain, but an occasional dab of Reel X will loosen it up just fine. 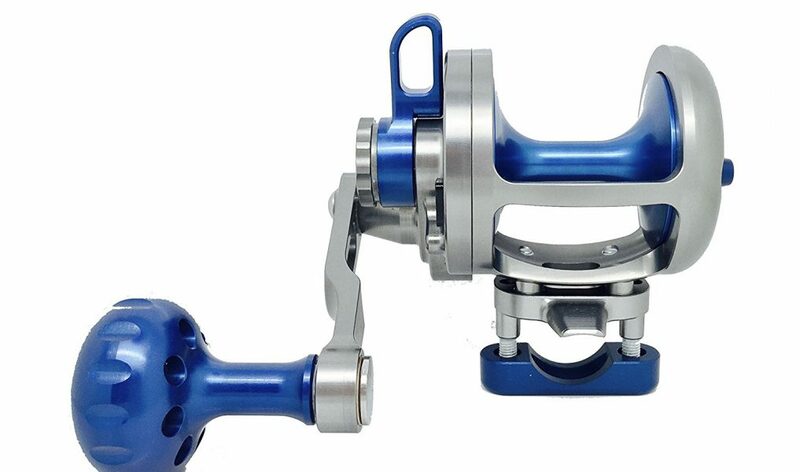 When it comes to U.S. made higher end reels, you can’t go wrong with Penn Torque, Avet Raptor, and IMHO Seigler (formerly Truth, formerly Release). Hello again Marco and thanks again for adding such valuable info. Not sure about the rod footing either. Is it a welded footer on the SG reel or bolted on? I like what I see out of Truth reels as well. What causes concern for me is the attempt at communication without any answer. Truth is the only company I’ve had that with. I’ve a feeling if I bought a reel they would answer quite fast, but that’s not the way professional companies operate. I’m giving them the benefit of the doubt that my messages got lost in the shuffle or something. I also find it interesting when issues are brought up on social media posts only to be erased and ignored. It feels like any negative info is being swept under the rug. Geoff.